between Lake Huron and Georgian Bay since 1858. This imperial tower structure was built by John Brown. The tower, original house and fog plant, a workshop, and keepers’ homes make up the light station today. 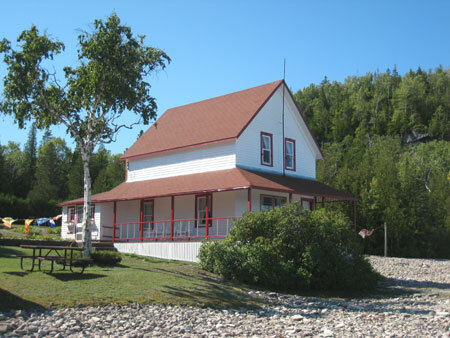 The lighthouse can only be viewed by private boat, the Chi Cheemaun car ferry or by tour boat out of Tobermory. Perched 80 feet above Georgian Bay, the Cabot Head Lighthouse has guided ships for over 100 years. Named in honor of famous explorer John Cabot, this site offers spectacular views of the Niagara Escarpment and Georgian Bay. In 1968, the original tower was demolished and replaced with an automated light. 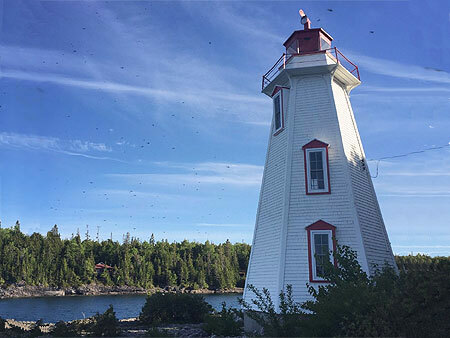 Fifteen years later, the Friends of Cabot Head completely restored the light station. and take a break at the picnic area. The lighthouse is open May 1st to Thanksgiving from 10am to 7pm. 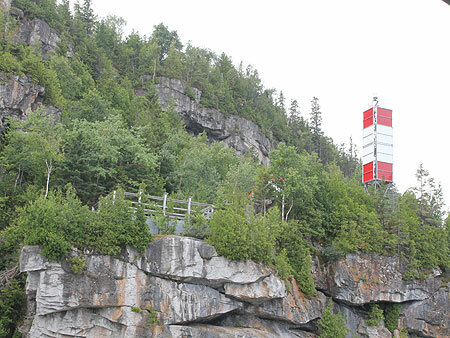 Drive down Highway 6 for about 20km and turn left on Dyers Bay Road. At the T-intersection turn right, drive through Dyers Bay to the light house along the gravel road. Enjoy the beautiful views along the way. guiding ships into the harbor from the sometimes treacherous waters of Lake Huron and Georgian Bay. 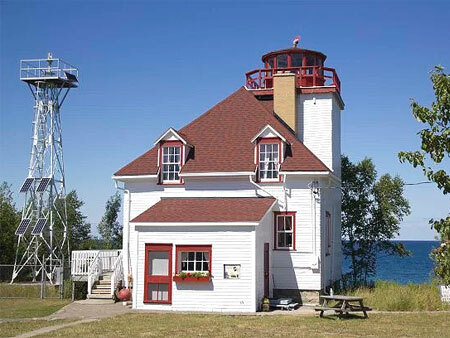 The original structure was later replaced by the six-sided, 14 meter (43 foot) wooden lighthouse that is seen today. Watch for scuba divers just off the point, as this location is a very popular diving destination. The light house is located at the end of Big Tub Road. The origonal lighthouse was built on Castle Bluff in 1897. The lighthouse keeper's home was built 4 years later. 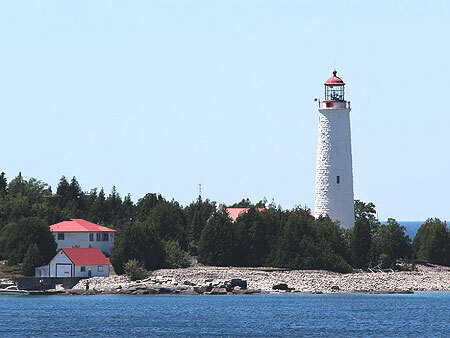 can be seen from the water on a glass bottom boat tour or you can hike to the light house when you get off the boat on Flowerpot Island.